The former Queen Elizabeth Hospital for Children in the Hackney Rd is a landmark of deep significance for generations of East Enders, yet a decision to flatten it and replace it with densely-built generic ‘new slums’ type flats has been made by Tower Hamlets Council, without any public consultation, dismissing the option of integrating the old building into the housing scheme. As the decision goes to the Mayor of London, Boris Johnson, on Wednesday this week there is one last chance to save it. So today, I sketch a brief history of the tradition of care that had its home there for over one hundred and twenty years in the hope that this will not be erased. 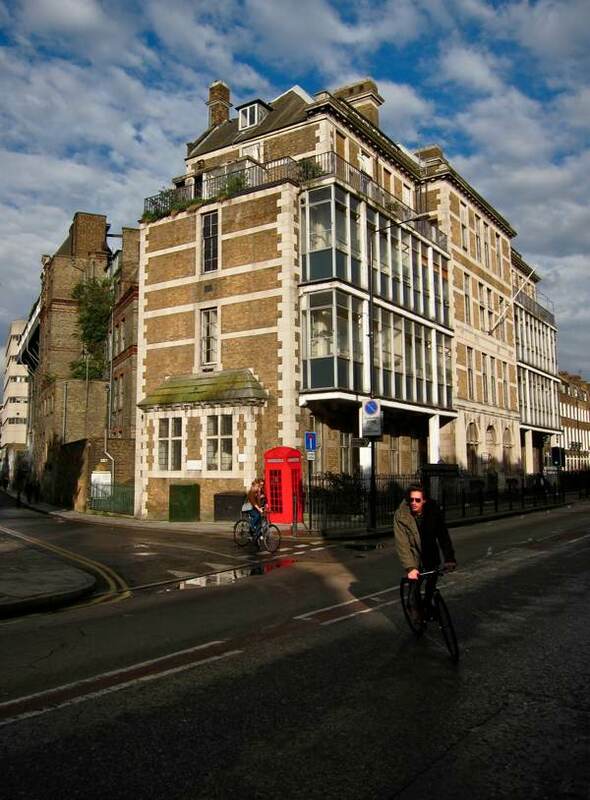 In 1867 – Quaker sisters, Ellen & Mary Elizabeth Phillips, established a Dispensary for Women & Children in two rented rooms in Virginia Rd, Shoreditch. 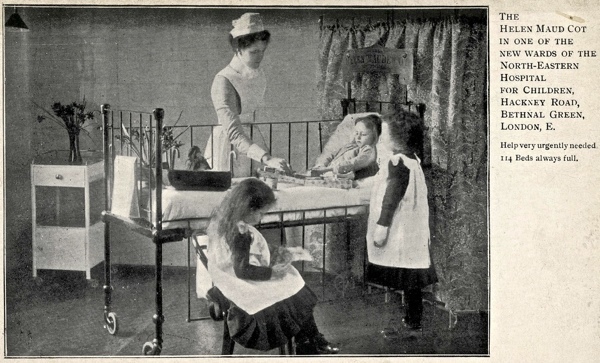 The previous year, at the time of the cholera epidemic in the East End, Ellen had worked in the cholera wards at the Royal London Hospital in Whitechapel through a connection to Elizabeth Garret, Britain’s first woman doctor. 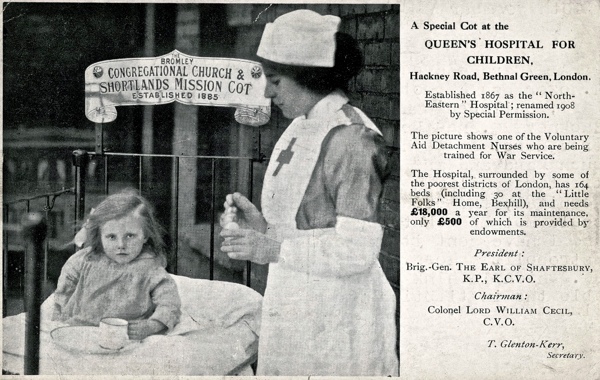 By 1871, the sisters had the lease at 327 Hackney Rd, on the site that would one day become their custom-built hospital to minister exclusively to the needs of sick children. Just three years later, they laid the foundation stone for the building in adjoining Goldsmith’s Row, attracting Royal patronage and the support of Oscar Wilde who wrote a poem for their fund-raising publication. The attractive terracotta sunflower freizes upon William Beck’s building reflect the Arts & Crafts style of this era and, throughout the interior, details of iron work and ceramic tiled floors continue this decorative theme. In 1904, the building on Hackney Rd was added, defining the triangular shape of the complex which continued to expand, acquiring additional buildings to fulfil the needs of the hospital throughout the twentieth century. Amalgamation with the Queen Elizabeth Children’s Hospital in Shadwell in 1942 delivered the name by which it was most commonly known. 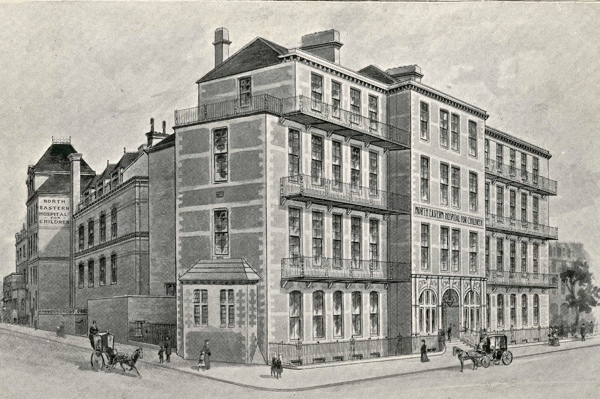 Charles Dickens was patron of this hospital, that he found operating in a sail loft in 1869 and for which he raised money to build a dedicated hospital building. Thus, two nineteenth century philanthropic ventures combined to create an institution that was absorbed into the National Health Service and closed at the end of the twentieth century when the services it offered were fulfilled elsewhere, rendering it defunct. Yet in 1974, it was the largest children’s teaching hospital in Britain with three hundred students every year and Victoria Holt, General Practitioner, remembers her time there fondly – as the most inspirational part of her training. 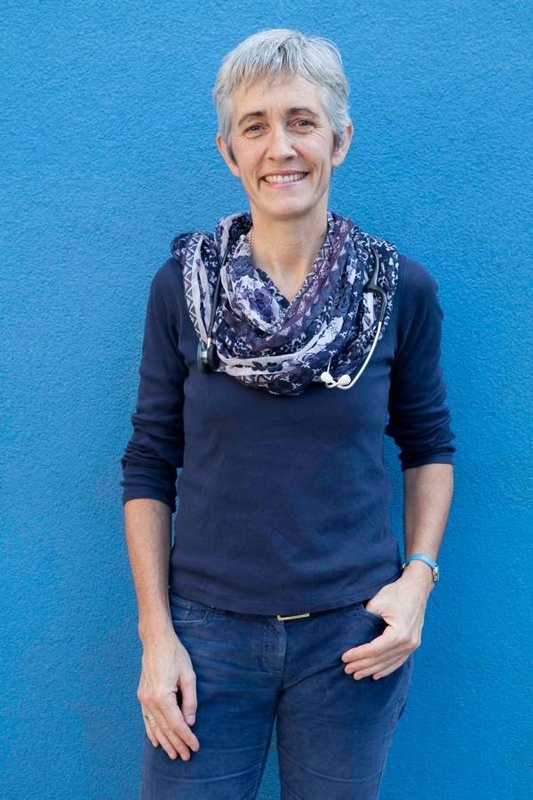 “I worked there in 1988 when I was training to be a GP in Hackney. 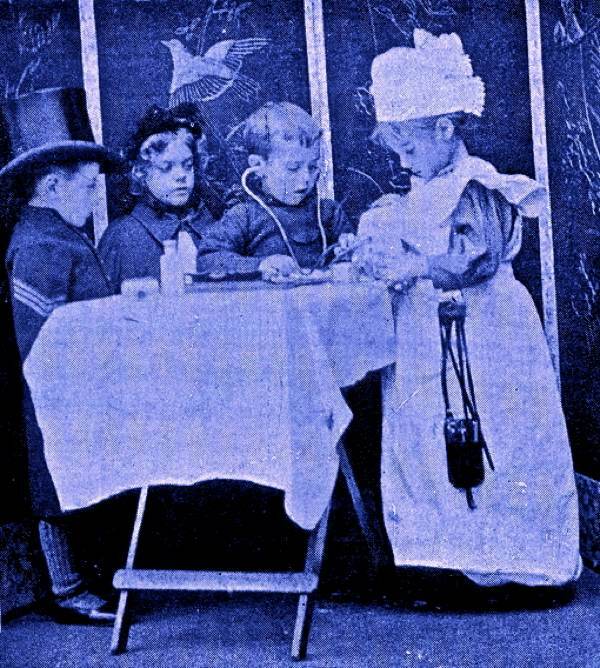 The Hospital served the East End but it was also used by Great Ormond St as the place where their nurses were trained – they had to spend some time ‘roughing it’ in the East End. What was so special about the Queen Elizabeth was that it was the opposite of Great Ormond St, it didn’t have a rarified atmosphere. You could literally walk in the door and be seen in the Accident & Emergency Department. It was a genuinely open door policy, whoever you were and wherever you came from – people who had grown up in the East End would bring their children there from Essex because it felt like home to them. What a shame…………If the go ahead to pull the building to the ground happens , could at least the chance happen that the stone arched window fronts and arched entrance with the keystones and decorative upper stonework be saved for posterity and placed opposite in the small park near Columbia Road as a keepsake/reminder for us all? It would be horrible if all trace work vanished. Signed from Aust and sent on to others in the UK. Just appalling that another ugly future slum block should replace a building which could be renovated/restored or, at the very least, have the Victorian facade retained. Here in Brisbane successive Governments starting in the ’70s knocked down most of the lovely old heritage buildings in the city and are continuing to replace them with modern soul-less blocks. Now they are all trying to think of ways to bring tourists to the City because there is nothing for them to see! I used to live locally and used the hospital on many occasion with my young twins (burns,bumps and bikes) it was a fantastic place just turn up and be seen sad to have seen it go to ruin hope it can be saved. building, reinvent, give it new life as it gave life to so many. 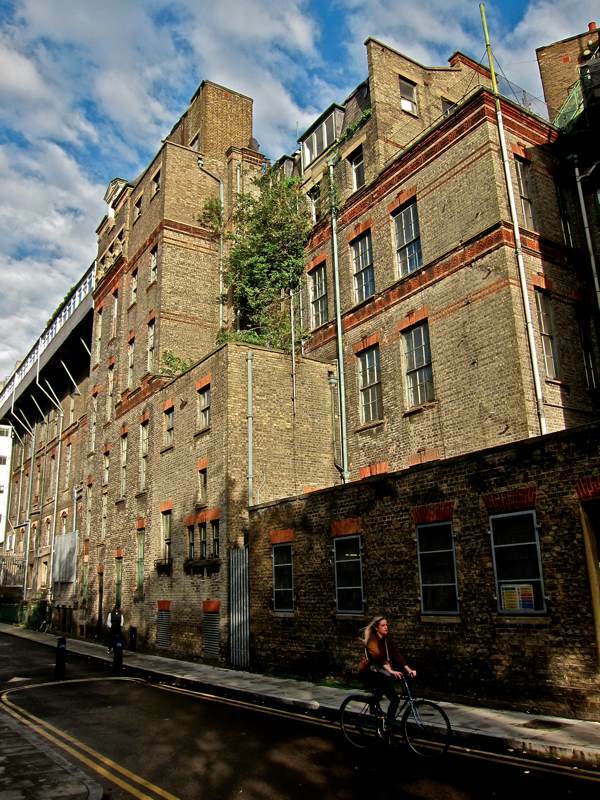 Appalling to see that this lovely building will in all likelihood be replaced with a nine storey lump of expensive flats that will both totally overshadow Hackney City Farm and Haggerston Park across the road, and also doubtless further enrich some people who do not live in the area. I really hope they don’t replace this old Victorian building with a bland modern tower block. Both my children were treated there at various times, a couple of times urgently rushed there in a pram from Roman Road, Bethnal Green. Fingers crossed Boris sees the sense in saving it. 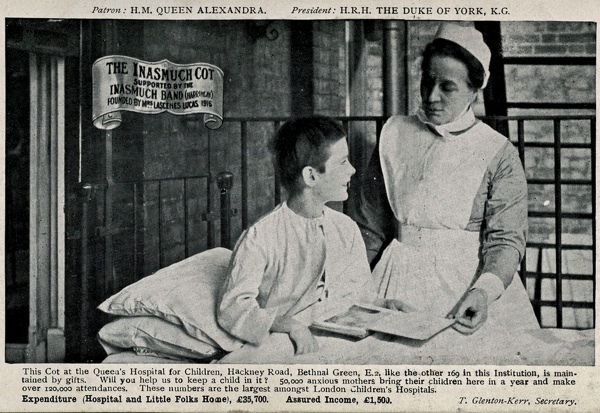 I was born in Bethnal Green and was a patient at Queen Elizabeth’s Children’s Hospital a number of times as a child. My life was even saved there once. It was a wonderful hospital with a wonderful staff. As a doctor myself, I can appreciate the place both from a professional and a personal level. 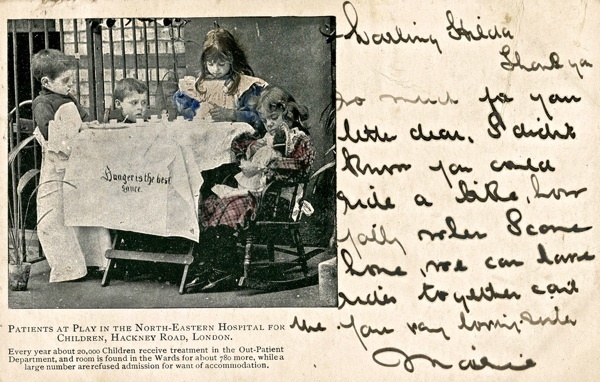 I have written about the hospital and my experiences at my website, East End Memories @ http://www.eastend-memories.org.uk – I am saddened that the hospital closed, but I suppose it was perhaps somewhat outdated today. However, I am horrified that it should be flattened for some gruesome, faceless building. Today, I thought it was the ‘fashion’ to maintain the shell of old buildings and to gut the interior. This is done extensively in Australia and to some extent in the US. It has even been done in Britain. Tower Hamlets has made a unilaterial decision to go ahead and flatten the place. The problem with Tower Hamlets is that it is run by those who have no memory or concept of the OLD East End. They not only lack a sense of LONDON HISTORY, they lack vision. This hospital holds a place in the history of the Hackney Road, which was once a very elegant and important road – not the mess that it has allowed to become today. I hope that reason will prevail and that the building will be maintained, albeit as a shell. the legacy of such an awesome place should be held in history not destroyed . I was genuinely ASTONISHED to hear this news, The hospital has only been closed SEVENTEEN year’s and already Tower Hamlets council have made a decision on what to do with this building, Im no expert but it must surly be a record for Tower Hamlets council to have acted so decisively and most of all, SO QUICK ! ! people who live in the borough often complain about the cost of their Council tax but with such dynamic and energetic TOP EXECUTIVES running the council I feel I must now concede that they are obviously worth every penny that THEY TELL ME THEY ARE. 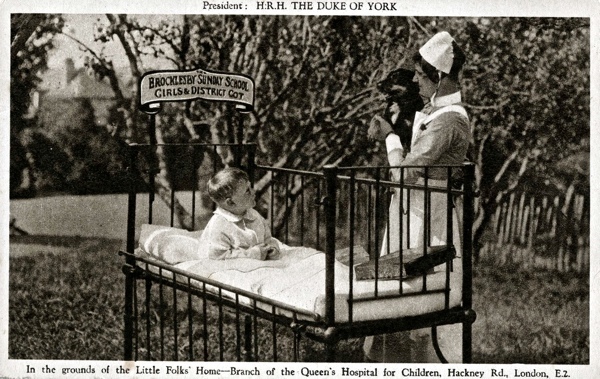 The hospital did not close down because it was outdated at the time but because for some weird political reasons a children unit was built at the Royal London on the site of the inner garden. 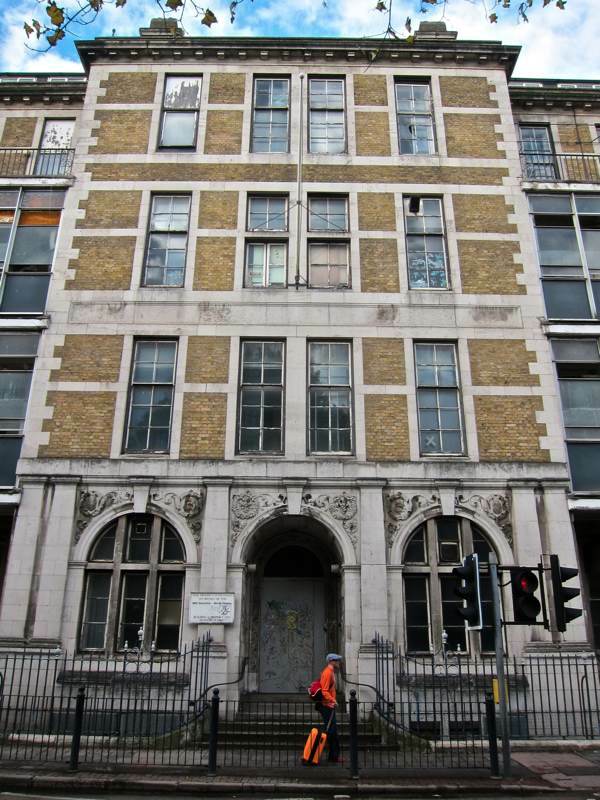 With Bethnal Green hospital already destroyed, with part of the old Royal London already put to the ground with no consultation from the public either, surely at least this one should be saved. I’ve worked some Christmases at Queen Elisabeth as an Agency Nurse and in a very short time there learnt an awful lot about conditions not often seen in general nursing. It will be so sad if the adjacent City Farm looses it’s compagnon building across the road. Simply amazed on how developers have got away with so much recently (vital spaces of the flea market at Brick Lane lost to soulless high rises!). Sadly though as nurses we have to be busier nowdays trying to salvage our working condition and decent pay packages than salvaging old buildings dedicated to health… so hoping that others will have the time and dedication to help save that vital part of history. Its very sad to see this familiar landmark disappear and to have no memorial to the wonderful service that this establishment provided. In 1959, my husband at the age of four suffered a severe injury to his wrist, cutting all the tendons and potentially losing all the movement in his hand. His father picked him up and ran to the Queen Elizabeth Hospital from Haggeston. After delicate surgery, knotting the tendons together and as a result of the excellent surgical and nursing care received at the hospital he regained complete use of the hand. We hope this building will be treated with the respect it deserves and these devastating plans to demolish it will be reversed. I trained at Q.E.H. 1960_1963 and was as staff nurse and sister on Connaught ward. with whom I remain in contact to-day. hospital and 22yrs. as paediatric sister at Addenbrookes hospital in Cambrige. use, is ther not a preservation order on the front façade? I feel that as the area around seems to up and coming with several of my friends children living in the area now,yuppie land,it would be wonderful to keep the front of the Hospital as it is important to the Eastenders. I would personally like to meet with Boris Johnson and vent my views! I was student nurse at qeh from September 1958 finishing in January 1962. I have to say it was one of the happiest times of my life. It would be a crying shame if that wonderful building with all it’s memories of all the sick children that redeveloped and all the nursing care that we Halloween there. I hope that the building can be saved even if it has to be converted into flats. So many people will still remember all that were helped there. Please add my name to the petition and if anyone who remembers me who I am not still in touch with please get in touch by e_mail. Most of my mother’s family came from around the Hackney/Tower Hamlets area and it seems such a shame to see historic buildings flattened. I wonder if my ancestors ever were treated in this place. If the building has to go, couldn’t at least the facade be saved. Give weight to the project to save the building. I was born & brought up in the East End and for many years worked all around the City. I havent lived in London for many years but every time I go back I realise how many more buildings have been lost to ” Progress ” the majority could have been saved by the use of modern technology and building techniques, dont do what “Adolf” started. Having spent a lot of my childhood in the Queen Elizabeth Hospital I think it would be a real shame if it is pulled down. They’re not all happy memories from there that’s for sure, however I do think the building is important to the history of the area. I hope someone stops Boris! A smashing place to start right in the heart of a friendly community . We lived in the nurses home on site and loved to visit the local market at bethnal green . I worked on Bailey ward as well as Barclay ward and observation unit were the isolation ward was . After wards I went back to GOSH for the rest of my time . Having spent the first few months of my life in the Hospital (1964/65), I find it hard to believe in these ‘modern’ times that the facade of the building cannot be preserved and develop behind it. I worked here during my training at GOS, first on Observation, then Queen Elizabeth, then A&E. I never saw it as ‘roughing it’, although life was certainly pretty harsh for many of the children and their families. However, the hospital was in poor repair in the 1970′s so, goodness knows what it was like in the 90′s. I thought it was rather neglected, always in the shadow of GOS itself (where I never had to chase cockroaches out of the sluice at night, unlike QE). It is a shame it closed, so many people had such affection for it, and most of us really enjoyed working here. I have recently returned to live in east London, and it’s interesting to see the changes that have taken place in 35 years. If we are to retain the living history of this amazing part of the UK, then at least keeping the exterior of QE would make a contribution. The wider issue of diluting specialist children’s services is for another comment, perhaps but, maybe the treatment of QE and the service it offered is a metaphor. The hospital was my second home when I was growing up in the sixties and seventies. Born with an inherited blood disorder I was in and out of the QEHFC from the age of one right up until the age of eighteen, when I was deemed too old and had to move to the UCH. 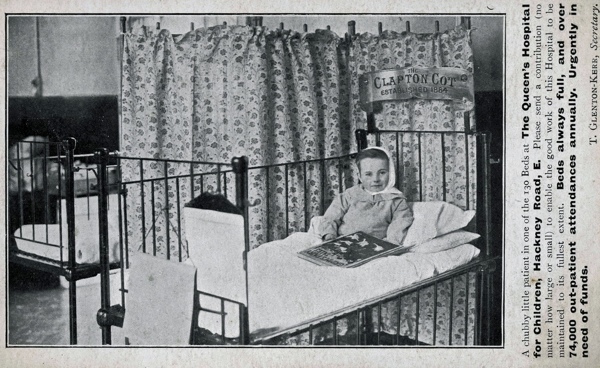 In fact my very earliest memory, ever, is of standing up in a cot in Elizabeth Ward and crying as I watched my mother and father approaching through the glass that partitioned off the several sections of the ward. I remember with affection the many Christmases I had to spend there, when Sisters from the different wards would visit each ward in turn, singing carols and handing out presents. And I remember with special affection one particular nurse, lovely Nurse Luxembourg, who epitomized for me, and still does, everything nurses used to be. I was there when the day the Queen visited the hospital and the crowd that was gathered blocked up the Hackney road. Although I now live in Norfolk and have not seen the hospital in the flesh, so to speak, for many years now, it would be lovely to be given the opportunity to visit it one last time as it is and have a look around the old place before it is changed, or destroyed, forever. But I know that it is closed off to the public. I hope that whatever decision they come to will be one that takes into consideration the feelings and memories of the many people for whom the hospital has meant so much in the past. And that at very least something of it will be left which will enable us to maintain a small connection with something special of our past which is steadily fading. I worked at Q.E.H for 28 years, met my wife there. Started there as a cleaner in Sept 1978 and left as Portering and Security manager. Met some fantastic people there, both staff , Patients and their parents, a small friendly hospital. Closure, more to do with politics and money. I also did a significant proportion of my post-reg. RSCN training at QEH (1983/84) and worked on Barclay, Bailey, Connaught and Queen Elizabeth Wards. After qualifying I worked as a staff nurse on QEH & Connaught & Observation ward (1984-1986). I left to work in sick children’s hospitals in Australia (Perth & Sydney) and Canada (Toronto) but nowhere compared to QEH. It really was a testament to all that is (was?!) good about the NHS. We cared for very sick children, but also provided a place of respite and safety to families who were struggling and walked in for advice and support. No-one was ever judgemental, I learnt so much about the art and science of nursing children. Notwithstanding the complex and challenging workload, there was such a sense of purpose and camaraderie. I dream of the hospital often & contacted the housing company to ask if I could look around but was told not ‘for health & safety reasons’! Given its history and legacy – let alone it’s aesthetic qualities – it would be criminal not to preserve the QEH building in some way. I know this hospital in Hackney road. I was in there as a child in the 1959′s to have a throat operation. I lived in Pritchards road in the council flats. I know it is no longer a hospital. It is a great old Victorian building I am pleased it has not been pulled down I think now though it is flats like Bethnal green hospital. My daughter was rushed to Queen Elizabeth’s Hospital after her birth during the 1979 Winter of discontent . Our family spent many hours night and day on Bailey and Barclay Ward. I remember the hospital with great fondness and all the amazing staff that worked there. They were all unique and very special. 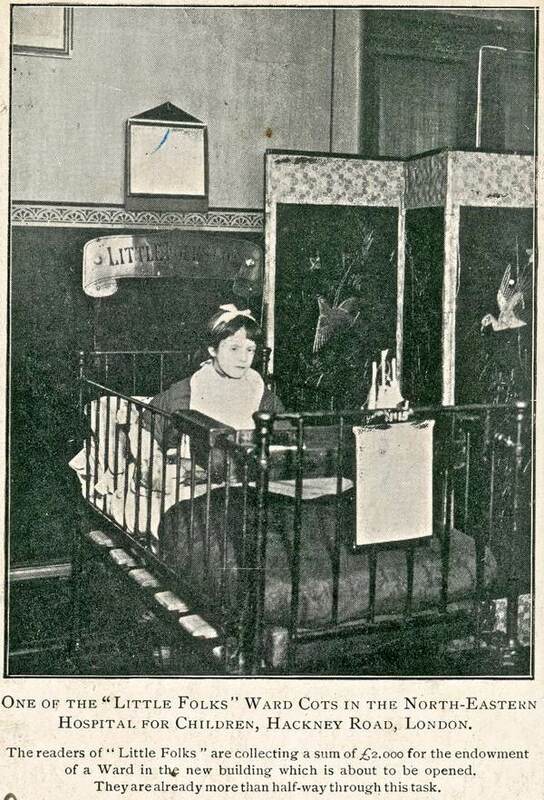 I recall the long wooden benches in Outpatients, the night time quiet , cots with brass plaques and tape measures at the bottom of some baby’s cots to measure their head circumference. It is strange to find the things you remember. The staff had a wonderful spirit about them and you could tell how passionate they were about their work. I would love to see the hospital re-used in some way and not pulled down. I still drive by there occasionally and wonder exactly why it has been left. I would not like to come back and see a building site there. So much special history of the East End destroyed particularly the building facing Hackney Road. Some kind of energy resurrected The hotel at Kings Cross from a derelict state … please could this happen with this wonderful old building that has just been neglected and allowed to go to ruin. I remember all those wonderful nurses, doctors, physiotherapists and play therapists who cared for Lizzie in her darkest hours. She is a living testament to their care at 34 years old. Thank-you for all you did in that special hospital. A true testament to great things that can be done whatever the condition of the building and provision around you. I also was pre trained at The Little Folks Home in Cooden Beach in 1963 before starting my training at Banstead and Hackney. It was such a special time and I made many friends. The East End residents were welcoming and grateful for anything we all did to help their families. We worked long hours and were allowed to take a walk down the Hackney Road in uniform to get some fresh air at the end of the day. If locals saw you we were always approached and felt very much a part of the community. It would be a heartbreaking if the hospital building was not preserved. I’m just trying to establish if Queen Elizabeth Hospital for Children was also a specialist maternity hospital, for example complicated twin births. I would like to establish if it was birthplace for my elder twin brothers and myself. My mother who is still alive is a little vague about exact hospital, and living at the time in West London it is unusual for her to be giving birth at QE Hospital? in East London. Dates are 1960 -1962. Any info would be gladly received. I too did part of my GOSH training at QEH 1970-1 and found it a most valuable experience. “Roughing it” was a bonding of students, staff, children and families. I agree that the building should be saved as testament to the history of the community and its place in it. Gut the interior but save the shell. URGENT! Does anyone remember the level of disrepair in the interior of the building between 1980 and 1988? In particular the pipe work in the basement corridor in the main building and the staff canteen that existed back then, just off it? I would be hugely grateful to hear from you ASAP if you have any memories at all concerning this. Or if you have any memories of any repair work being carried out in that area of the building at that time. Many thanks. What another mess, it should be opened as another hospital . I travelled down from Yorkshire yesterday and met a friend and ex-QEHC nurse/colleague who was visiting the UK from New Zealand. We took up post outside QEHC and tried to persuade the site demolition men to let us in for one last quick look around the wards – Observation/Princess Elizabeth/Barclay/Connaught and Bailey – but to no avail! They said there was asbestos removal going on and a H&S audit underway. So, we stood and chatted/reminisced in the drizzly rain – happy memories! The men (who were interested in our tales of the children/staff/wards) said the main ward area (minus the front façade) would be gone in around 4 – 5 weeks. This hospital holds a massive place in my heart, as I had a few major ops here when I was a baby, and if it wasn’t for Doctor Sandown and his amazing staff at the hospital, I may well not have turned out quite as well as I have. I had to go back there in 1978 to get a shunt replaced, and they were fantastic. They diagnosed the problem within 12 hours of my being admitted (something Basildon Hospital hadn’t managed to do in 2 weeks), and within 2 days I had been operated on and on my way to recovery. It’s places like this that should be saved rather than keep throwing money at erecting new buildings. Queen Elizabeth Hospital for Children, Shoreditch will always have a place in my heart and memories, and the building should be saved at all cost. This wonderful hospital has a big, big place in my heart too. I Started work there straight from school in 1974 in the biochemistry lab (part of pathology), situated in the (then) new Hayward building at the rear of the site overlooking the car park. With the exception of a couple of years training at Great Ormond St hospital, I finally left the site in 1996 when the labs moved up to GOS. I literally grew up there! I met the most dedicated, intelligent and caring people in all sections of the staff and given the small size of the hospital we had more than our fair share of brilliant (and famous) people work there. It was a wonderful experience and I am proud to have done my bit there. I started my training here in 1968 after working at the little folks convalescent home.i have many happy memories working here.it will be such a shame to demolish this lovely building and hope that the powers that be will change their minds. I recently drove passed the hospital and am heartbroken at what’s happened to that marvellous place. In the 70′s & 80′s it was practically my second home. I have Spina Bifida and spends many weeks and months on Bailey Ward on the 2nd floor. My memories are so vivid and almost 30 years since later I could still remember many of the wonderful staff and patients that I met during my time there. Sister Maureen Cavell I remember with particular fondness for her kindness and sometimes the odd telling off too! I would love to hear from anyone who may have been a patient or member of staff around 1975-84. Hello Christopher, as per my entries above, I did my post-Reg. RSCN training Oct.1983 – Dec. 1984 working on various wards at GOS and QEH. Once qualified I worked at QEH from Dec. 1984 until Dec. 1985. I worked on Bailey ward although not for terribly long, I’ve just looked back in my diary, it was June 3rd to July 10th 1984. I remember the landing and turning left to the older children side and right to the baby side of the ward. I remember summer days (& nights!) with everyone – patients and staff – singing and dancing/jigging to Wham’s ‘wake me up before you go go’ which was in the charts!! I remember lots of trips to and from theatre, it was such a busy ward, such complex surgery, I learnt lots about spina bifida. I have such happy and vivid memories of that time, we all felt like one very close-knit family running up and down the stairs to borrow things, help out, do extra shifts etc. I feel enormously privileged to have worked there. Yes, I remember that landing so well. I spent many hours waiting patiently at the top of the stairs for my parents to arrive and then watching them leave to go home without me with tears in my eyes. But I still maintain it was a happy time and have never felt the same attachment to any hospital since. If you want to email me directly you are more than welcome. Sister Maureen Cavell was there during the Winter of Discontent when my daughter Lizzie was rushed into Bailey Ward. I believe she left later and went to work in Waltham Forest … Wasn’t she known as Mo? Lizzie has Spina Bifida also Christopher and was in a Bailey award from Feb 1979 initially. Would love to get in touch and say thank you again to Maureen. Any other QE nurses out there from those days? I would like to hear from anyone who may know my name or remeber me as a baby, regarding a full cleft and hair lip. what i acutaally had done, who operated etc.. i was born october the 30th 1970, I went to this hospital on a regular basis for check up and reviews. Dr. Sackwild & Mr Walker i think. i was diagnosed with diabetes at this hospital in 1993 when i was 10 years old. i wish they have never closed down this historic building. its really sad!! I worked at the QEH during my training(1983-7) and there as a qualified nurse (1987-88), first for a month on the baby speciality ward on the top floor and then (until I left) in the casualty. I was moved there as there was a shortage of staff but i was so glad I did go as I enjoyed all my time there. I remember the sister there, married to the head porter Nobby Clarke (both stalwart members of the staff community). I would be gutted to see the building destroyed, having watched the sadness my sister felt after the flattening of her alma mater-the Middlesex. One of the things i remember most, and would be interested to hear if anyone else felt it, was the ‘ghostly presence’ in the cloakroom by Goldsmith ward and the lifts to the theatres. I am answering the question from Oliver Gill. April 2014. QEH did not have a maternity unit but took sick neonates from a local maternity hospital, the name I cannot remember. 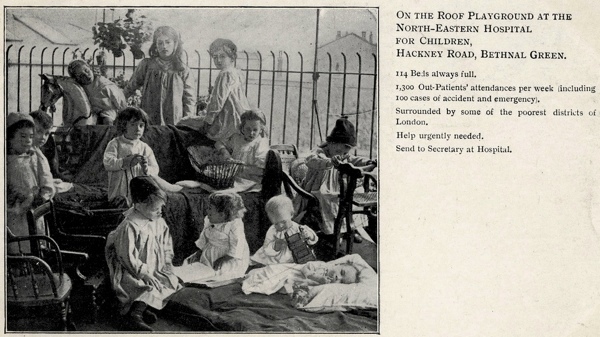 These babies were usually nursed on Leonard Gibbs Ward on the top floor overlooking Hackney Road. 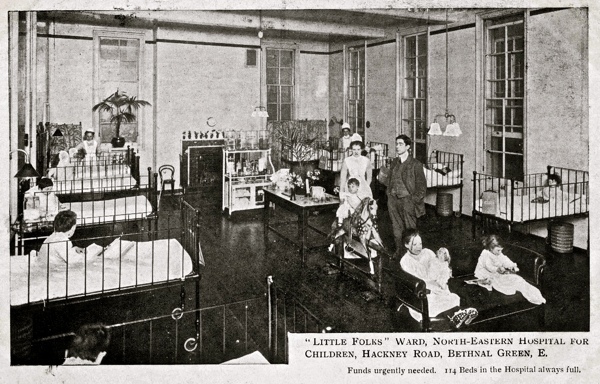 If no beds were available the babies were sent to Little Folks Ward also on the top floor but at the side of the hospital overlooking Goldsmiths Road. I was a staff nurse on Leonard Gibbs ward in the early 60′s and remember a very sick baby admitted who was a member of the famous John Lewis family. He recovered I am happy to say. My mum was resident child psychotherapist at QEH for most of the 1980s and loved her time there. She was diagnosed with Mesothelioma two years ago which she believes she contracted while working at the hospital as one of the reasons it remained derelict for so long was due to severe contamination from asbestos. An area we know was a particular asbestos trouble spot was the basement corridor with the staff canteen off it, where mum would walk on a daily basis, as presumably would most of the staff. We are trying to build a compensation case and are looking for people who worked there who might remember any detail of the disrepair of the the interior of the building/ the pipework on the ceilings, particularly the behind the scenes staff areas like this basement corridor, who might be prepared to submit witness statements saying what they remember it was like. It would also be really useful to know if anyone can remember building or repair work being carried out in that basement corridor or any other public walkways within the hospital as it is very often during building work that asbestos is disturbed and therefore at its most dangerous. Any thoughts/memories would be so gratefully received, either through the comment section of this site or by emailing me on mesoqeh@gmail.com. Many thanks for any help you can give me, however small. I owe my life to the QECH. I was rushed there in1938 when a local doctor realised I was seriously ill. I had a burst appendix and was operated on for peritonitis. Without antibiotics it must have been exemplary nursing that saved my life. The signs of that time are very much in evidence on my body, A large scar lower right abdomen and another smaller one where a drain was needed. I am now 81 and hope to go on a bit longer. all these fine old buildings along with their importance to a once thriving east end community are being eaten up by the greed of business out of control.the next pound is all that matters not the history nor the architechure .the money so shareholders can count a little more each year on their investment. I spent the first 3 months of my life in QECH Dec 1976- March 1977 (Gibbs Ward) – Having had major stomach surgery, I owe my life to the Surgeons, Doctors and Nurses. I would love to hear from anyone who remembers me as a baby or who treated/operated/looked after me. I have a great interest in Psychotherapy, in particular attachment theory. Reading through the thread stirs the memory banks. I worked at Queens as a junior doctor to the late Tony Jackson back in ’74-75 and then as a consultatant paediatrician between 1983 and the closure aka “transfer of services” . It was a privilege to work there and be part of the sense of camaraderie and dedication that gave it an atmosphere like nowhere else I have ever worked. One feature I remember well was the annual panto written by the teachers and performed by volunteers on the basis of a couple of rehearsals in the Board room and then acting as Santa for some bemused young children on Christmas Day. I agree with all that’s been said about the range of experience and training that was all part of daily life at Queens. It was always our hope and intention that children who came to the Queens should have the same level and quality of care that they would receive in other better endowed hospitals and I hope we achieved our aim to the best of our ability. It was always a pleasure to go to work even braving the Blackwall tunnel traffic to do so. P.S. – I should have said, the photograph is from Christmas 1984. Not sure my last post sent correctly? I have a lovely photograph taken on Christmas Day 1984 on Princess Elizabeth ward featuring Santa, a bearded doctor in a tutu, and, as above, several bemused children! Happy to scan and email if you would like? Happy memories. I spent most of 1974 at this Hospital with my daughter Natalie Jane – they were so supportive and amazing the nursing staff, despite her having liver disease they did their utmost to try and find a cure, unfortunately transplants were not around then. The ward was LEonard Gibbs a baby unit at the top, the ward sisters were Margaret Wray and Barbara Robertson, the paediatrician was Dr.Broderick Brown and the surgeon was Mr. Dickson, all very amazing people, I kept in touch after Natalies passing and they sent me a lovely card when my second daughter Nicola was born in 1976, oddly enough she ended up as an outpatient under Dr.Brown with milk allergy. Such a shame its all gone, it haunts me to drive past there as I can see the room in the corner where she died. I also worked with a lady called Vera Johnson who worked in the laundry, she left as she saw an image one night, upset her so much she couldn’t carry on working there. In 1966, I lived in The Crown & Shuttle pub in Shoreditch High Street. One Sunday lunchtime, due to a kitchen accident, my shirt caught fire. My father took me to The QE A & E (or Casualty as it was then known) and after a few days on a ward in Hackney Road, I was transferred to their specialist burns unit in Banstead, Surry where I stayed for three months. I too did my nurse’s training at QEH from September 1958, and made some lifelong friends. We had some hilarious as well as some very sad moments with our young patients, and were treated very kindly by the Hackney Road residents. It was an appalling decision to close and then flatten a once great hospital, which should have been at least a Grade 2 listed building. I was born across the road in Guiness’ Buildings in 1949 and was a frequent patient. However, i never really left as I was a post reg student nurse in 1980. Taking over Goldsmith Ward in 1982. before that a charge nurse in Casualty. I have a photgraph on my desk in another childrens unit where I am the charge nurse/manager it is of me and some of my team on Goldsmith in 1983. The hospital was probably the place I have ever worked with probably the best people. I was part of the May 1966 set who trained as sick children nurses at Hackney Road and Banstead. We have just held our 50 year reunion and talked endlessly about the hospitals that were very special. We worked hard and played hard. I still remember many of the children we all helped to get fit again and it is a sad moment to see the hospital empty defeated. Flats have now been built on the hospital site, although the façade has been kept. The eldest son of a friend of mine lives in one. I thought , and hoped when I was nursing there, that the hospital would last forever. Please don’t destroy our beloved Q.H.C. Building. I trained there in Sept.1955 – 1958. In 2005 a small group of our set met at Banstead on our 50th anniversary and were shown around the old hospital ( being turned into flats) but retaining the original building. The local press even gave us a page in the local paper. I worked as Senior House Officer ( SHO ) at the Queen Elizabeth for a year from 1968-69, and lived in a small basement flat a few houses away in Hackney Road. A very busy year , on call every other night and weekend , but a year I will never forget . . I learnt so much . I am now 78 , probably no- one from that time who will read this . Happy memories ! Further to your post Allan (Curtis), good to hear that you’re still working in paediatrics and continuing the legacy of QEHC! Do you know what became of the nursing officers Mr. Alan Tiller and Miss Elizabeth Stewart? I worked there in the mid-1980s & have strong memories of them rushing from ward to ward sorting out problems. Whenever I see Prof. Robert Winston on television he reminds me of how, in my memory, Mr. Tiller looked! I remember Sister Elizabeth Lake on Princess Elizabeth ward (& Sister Patricia Hewitt on Connaught I think?). Fonts of knowledge & experience & with such high standards of paediatric nursing. I worked on Bailey ward in the 1980 i loved my time on Bailey ward looking after very sick children .I worked with Suzy Tinker sister Elaine Pritchard JennyBull and a very funny nurse called Helin i cannot remember her sir name she was welsh and a good laugh.I can remember Cilla Black coming on Bailey ward and seeing myself on television on christmas surprize surprize good times and Adam Ant came to Bailey ward on christmas day to meet some of the kids on the ward.I was living in the nurses home in the hospital and then i moved down the road to that big house in pollard row i would love to hear from anyone who was working with me at that time. I would like to add that I was diagnosed in 1966 with a blood disorder here at QEH Barclay ward. I remembered things from the age of 2 yrs until I left at the age of 17. Have to add I had some bad memories here and still unfortunately have flash backs regarding my experiences here. Back in the sixties illness and diseases that were rare, children were used as guinea pigs, and I was one, we had matrons then that were strict and very stern! 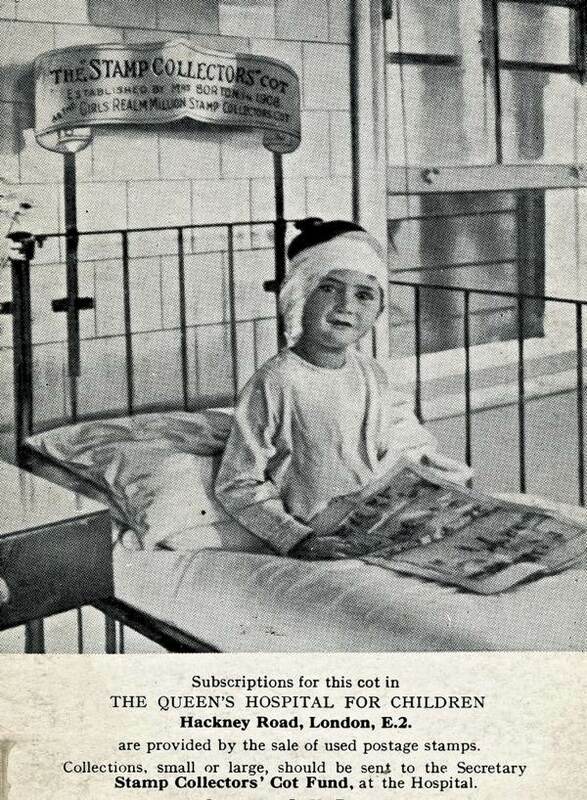 The NHS for children have improved immensely, because back in my days we had no toy or television or books to entertain ourselves, and we had to ask to go to the lavatory! Because of my frequent stays overnight having to return every two weeks for treatments, i would meet new children that came and went, some lived and some I knew well had passed! It can scar anyone! My only friend was the play leader Ruth, any body remember her? She was brilliant. I would kick up a fuss, never wanted to be treated because of the pain I had to endure, until Ruth came to my rescue. It was a shame for the nurses at the time who had to deal with me, but put yourselves in my shoes? as a very tiny child that couldn’t have her mother stay, very daunting. I’m still under going treatment and now a candidate to the society my illness funds, giving me strength and confidence. I have to say now nearing my 50 yrs, my experiences has made me independent, I have my own home my own business and a daughter who will be 20. So even though it was the worst thing having to go through what I did, I thank you! Now older and mature, the nurses then, did good, and apologise to those nurses and doctors who I made their jobs difficult. I’m glad the hospital is rid of and new flats are built, move on, I say! because I now have closure! I indeed remeber Professor Wood. I was director of the Institute of Brain Chemistry and Human Nutrition which had a laboratory in the Hayward (?) research building. Dr Bernard Laurence was also there – he was secretary of the then Brisith Pediatroc Association and we published work to gether. I first knew Bernard when he came to run pediatrics at Makerere College Medical School in Uganda. In response to Madeleine’s comment 5/10/16, yes I too remember Sr. Pritchard & Staff Nurse Suzy Tinker, there was also Scottish staff nurse Karen Spowart who I think still works in London in the field of paediatric diabetes. Such happy times. A very busy ward but lots of fun and laughter! Hi Lynne Clerk and yes i do remember Karen from Scotland she became a sister and Suzy Tinker did too.Alan Tiler was a lovely man very funny we always had a good laugh with him when he came on Bailey ward.I am sorry to say he passed away some years ago.I will always remember Elizabeth Steward nursing officer as she interviewed me for my post on Bailey Ward with staff nurse Bowen .I always remember Elizabeth Stewart she would come on the ward every morning and had very high standards and great nurse i always liked her .I passed the hospital the only yesterday and see that it is going to be flats it will always be a hospital to me . Hi Madeline, sorry to hear about Alan Tiller. Both he and Elizabeth Stewart ran the hospital like a tight ship didn’t they, racing around sorting out problems with good humour and professionalism. 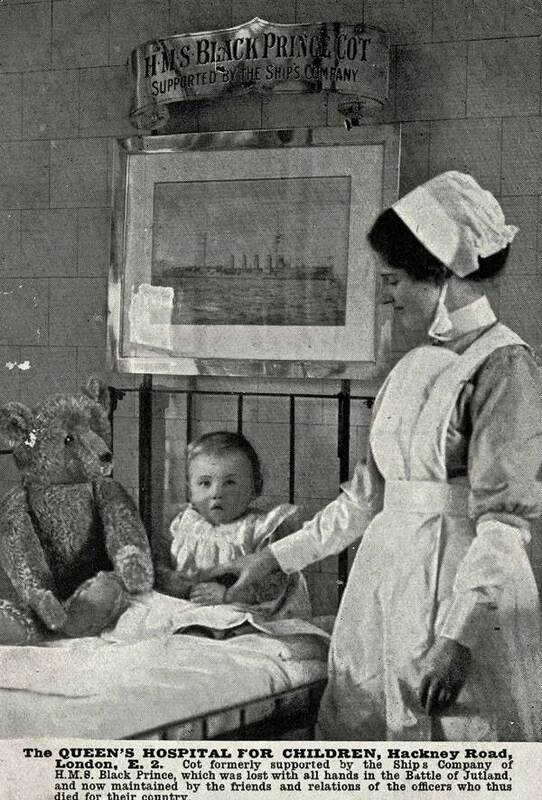 Elizabeth Stewart interviewed me too for my staff nurse post on Princess Elizabeth ward, then an acting Sister’s post on Observation Ward for a few months before i went to Australia. She wrote me a couple of references too (which i still have! ), and I had the utmost respect for her. What a fantastic place it was. Hi Lynne its so nice to remember a place in time where we both worked and remember with great fondness. I also remember Alan Curtis did he work on goldsmith ward and went out with sister Bowen I don’t know if you remember her but she was such a great nurse and really looked after me when I first started on bailey ward. Reading all these posts from former staff and patients really does bring a nostalgic tear to the eye. Many of those mentioned on this page played a huge part in my childhood during the many weeks/months I spent as a patient on Bailey Ward. I have Spina Bifida and my Consultant during my teenage years was a wonderful Orthopaedic Surgeon called John Fixsen, now sadly no longer with us. Those staff who worked at QEH during the 70′s may remember him. He was succeeded by Mr Peter Webb, another marvellous man who I followed to the Royal National Orthopeadic Hospital in Stanmore once I turned 16. There are so many characters, both fellow patients and staff, who I rememeber with such affection and who left an indelible mark on me. On Bailey Ward there was an Irish woman who worked as a domestic called Mary Looney who became good friends with me and my family. I suspect she too may have passed on by now but I’ll never, ever forget her. She had the wonderful gift of cheering me up, even during very dark times when I was quite ill and in pain. Quite often she would sacrifice her own break to push me down to Sally’s tea bar in Outpatients for a cuppa, ham roll and a pep talk! I’ll be forever in her debt. I could write numerous stories about the many people I met during my time there and maybe I will. Meantime if anyone who spent their time there and wants to reminisce I’d love to hear from you. I have strong memories of this hospital. As a baby I had necrotising enterocolitis and was looked after and followed up at the Queen Elizabeth for many years. If it wasn’t for them and a specific doctor who looked after me I don’t think I’d be here today. I can’t remember her surname but her first name was Victoria I think! I was born in 1983. At 17 years old I left rural Wales to go to work at the Little Folks Home in Bexhill on Sea. A lovely group of girls and to this day I am still friends with Tina. Would love to know what happened to Ann Beer who left. We had a great time looking after those children and with them enjoyed riding Jenny the Donkey on the beach and eatinghealthily from the veg garden. In 1967 I went on to train as a nurse at QEH and qualified as a Staff Nurse in 1970 and left in 1971 to pursue a different career in nursing. Still in touch with Linda Eagles .. sorry cant recall her maiden name. Would love to hear from anyone who was around during those years. My husband and I had a memory lane trip around there last year and so sad to see the Hospital in disrepair and the nursing accommodation in Pollards Row where I once lived looking very tired and run down. How wonderful to come upon this website and be able to join so many former patients and staff in their memories of the hospital. I was transferred to Goldsmith Ward in QEH from hospital in Essex aged 3 in November 1956, for surgery by Mr. Valentine Swain. I wonder if his name rings a bell with anyone ? Although so long ago, I can picture him, and the ward as clearly as if it were yesterday. The staff were all so lovely and caring towards me – a very frightened little girl. There was a lovely young junior doctor who used to sing “Incy Wincy Spider” to me, and in the mornings the nurses used to wake us up singing songs, too. I remember them singing: “A four-legged friend” – popular song at the time. In those days, parents’ visiting times were very restricted, and I used to pester the nurses to know how long it was until visiting time. I remember one lovely nurse actually gave me her watch to look at and follow the minute hand until it came round to the time. My head end of my cot was almost in front of a window – looking onto the side street, I think – and after my parents had left, I used to stand up and wave, gazing out into the darkness, knowing that they were out there, somewhere, and already wishing for them to come back. I don’t know any names of any of the Goldsmith Ward staff, but I do remember there was a patient called Coral who I played with once I was up and out of bed. We used to parade up and down pushing a doll’s pram. On the off -chance that any staff of Goldsmith Ward 1956 may read this: Thank you for your kind and loving care. I still remember you. Came across this article today and saw my name mentioned! I worked at QEH and they were the best years of my career! Excellent staff and patients/ parents. Taner Keskin, think I remember you when you were diagnosed with diabetes! Eve and Maggie our “domestic angels”, hospital school staff and many more……! Madeline, the ” funny Welsh nurse” you remember was indeed Helen Johnson. Helen and I used to cycle to QEH together from our residence at GOS in those days, until Helen’s bike got nicked! It was a bit of a hairy route, particularly Old Street roundabout! I now work in West London in diabetes, funnily enough some old colleagues from QEH are there too! Paediatrics is a small world! Such happy memories of Ruth the playleader, a lovely nurse called nurse Blacklocks ( I often wonder what happened to her, she’d be in her late 60′s now) and her friend Nurse Ann Elizabeth on Barclay ward who inspired me from a young age to become a nurse. The sister in out patients and of course Dr Walker Smith,who I was in contact with recently. I’m a matron now and achieved my dream but would have love to have worked at Queen Elizabeth’s. The nurses always let me help with the babies and feed them.I have a great fondness for this old building and the amazing work it’s contributed to, I hope it can be preserved. Hello Pat I do remember you because I lived in the flat above you 68/69! We had our reunion last week and 3 of us went to Hackney Road by bus to see the Hospital,itlook okay, I also took a photo of the flat but could not remember my number so took 2 blocks! If you read this please get in touch! I’m so sorry I’ve only just seen this fabulous web site. I was trying to contact Sister Barrett who literally saved my daughter’s life way back in 1970. Vicki was born August 1970 and went into St John’s Hospital, Chelmsford where she was diagnosed with chronic malnutrition following a bout of hospital gastroenteritis. 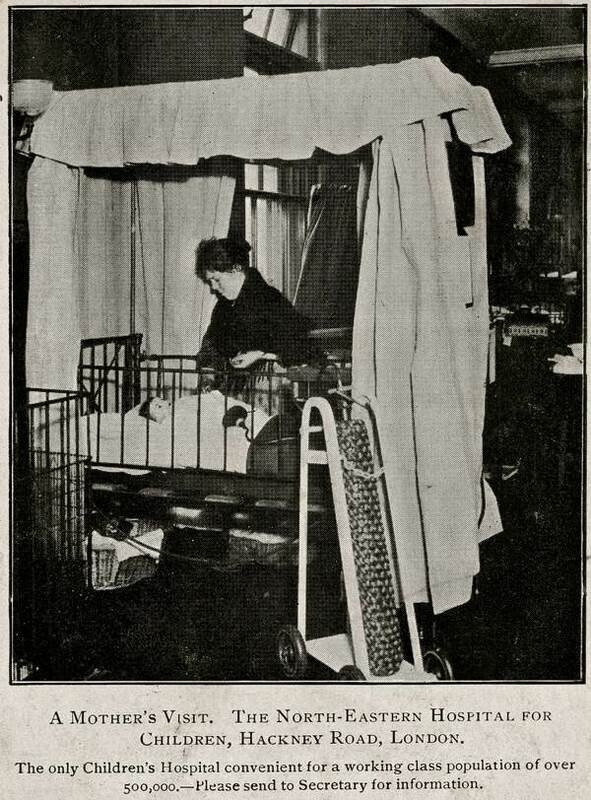 Thankfully she was transferred to Hackney Road Hospital under the care of Sister Barrett – I think Sister Barrett went on to become Matron of the Hospital but I’m not sure. Vicki was in hospital for 11 months – in an infectious cubicle next door to ‘Kenny’ who also did not thrive – I often wonder what happened to him. At 11 months old we had her home weighing just 9lbs – the most she had ever weighed. She is now 47 with three children of her own…….thank you Sister Barrett – you were firm but hugely fair and I often think of you. The hospital was brilliant (apart from one consultant!!) – I wish it was still there…….I do hope I can find Sister Barrett – or at least know what happened to her. Not 100% sure but your surgeon may have been Mr Dickson. I was born in 1967 and was admitted to Queen Elizabeth three days after birth. In the many subsequent years I was always admitted to Bailey Ward which was on the floor above Goldsmith Ward. I had abdominal surgery in the period of 1968-82 and remember Mr Dickson very well. Towards the end of my time there I also recall Vanessa Wright, who sadly passed away in the last couple of years. Like you, I too have many memories, both good and bad, but my overriding emotion of QEH is of fondness for the many wonderful staff and patients that I met during my childhood. Looking for any students at QE who began PTS in January 1967. Especially someone called Rachel, from East Sussex. So lovely to read everyone’s comments and posts – very moving. I was a patient as a baby, from December 1976 – March 1977. I developed Necrotising Entrocolitis (NEC) and peritonitis, following a blood transfusion. I had two major operations, the second on 18.2.77, a life saving Total Colectomy. Unfortunately following the hospital closure my records were destroyed. I would love to hear from anyone who may remember my time in the NICU/Gibbs ward. Also, if anyone knows the name’s of the nurses who might have cared for me, or surgeon’s who would have performed my operations. I was at the Little folks home for pre-nursing from 1957/8.then at Banstead after that .Then QE hospital for RSCN training from 1958 to 1961. In our set there were 3 Margaret’s all born on 15 feb 1940.so unusual the hospital gave us a combined 21 st birthday party. I remember the happy times we had looking after the children there. Have just found the web site while watching “Call the Midwife” on tv in Massachusetts where at have lived since 1972.I did midwifery at Honeypot & Watford hospitals & district .Then took an 18 month course to obtain my SRN at St Mary Abbott’s in Kensington.I was a staff nurse at the Royal Marsden then a sister at the old Fulham hospital now Charing cross. I married a lovely American computer man who had an English mother ,at Kings Langley, after our daughter was born we came here & our son was born here. My dear Henry died of bile duct cancer just after 9/11.my children live near & I have 2 grandchildren.I Have had a wonderful, happy full life & hope all those I knew did the same . Wish I had found this before now . Good wishes to all Margaret Jaggard Lowe. I started my training 1958, and remember Valentine Swain with great affection. A true gentleman, who as far as I know treated everyone with respect. I received the middle name ”Wade” named after Nurse Wade that brought me back from the jaws of death to save my life when my heart stopped shortly after being born in 1966. I was rushed there from Bearsted Hospital in Stoke Newington with pleurisy & a weak heart. So I owe my life to The Queen Elizabeth Childrens Hospital & especially Nurse Wade!! It holds a very special place in my heart! Hi this brilliant hospital I was under an my second home for my parents practically lived there under doctor Harris for my cystic fibrosis where my parents where told that I would not reach age of 7 from dr Harris, I had the priest give me the past rights then my DAD was wake late at night an could you imagine very worried and could hear down the hallway doctor Harris asking another Dr MEianz on the photo what should he do with (Daniel-ME) my dad jumped up and spoke with doctor meianz to doctor meianz COULD she kindly come visit Daniel-ME, the very next day (previously had tubes in my head double pneumonia, no tears as I was so dehydrated) doctor meianz took over my health care that day An did miricles An I am still living a decent live down to that woman,plus any hospital admissions I had there was very good ALL staff was wounderful at all times just gutted when it got closed down An had to go to royal London, i now have a family of my own however cf paitents do have trouble naturally. if anybody knows or can remembers dr meianz at this hospital (if spelt her name correct) please forward on my email address to her as I would love to thank her for all she done for Mei would not be hear without her expertee knowledge An help, I believe she may have moved to Canada but no 100% sure. Readdbb@aol.com PLEASE HELP ANY INFORMATION will be appreciated. Wonderful experience while extending my training as a paediatric state enrolled nurse (PEN) loved every minute, great times. Part of Great Ormond Street taining in 1977-1978. Worked with children with ‘failure to thrive’ c caused by milk intoleranes, also Broncolitis and other chest conditions. We had great excitment as it was,’The Silver Juberly Year’,and the Queen visited all the wards, the hospital was decorated on all the balconies to welcome the royal party. Such an exciting time for children and staff. A message to any of those wonderful QEH nurses who may look at this website! I called my daughter Elizabeth, after the Hospital , as she wasn’t expected to live very long…. with fan hatted, red and silver buckled waist nurses…. GOSH nurses. Thank-you to you all and please pass the message on. Nurse Ruth are you still out there perhaps … and Nurse Simon. Please pass this message on to anyone who nursed at QEH from 1978 onwards…. and I do remember Mr Swain. Watching Call the Midwife brought back lots of memories. Good times. I remember Sr Barrett I think she was on Observation ward. I have a photo of her with her nurses one Christmas . Happy days. Staff member from 1963 to 1965 when Married continued working there after first son born Robert ..Happy in playpen in OP During Dr.. Shelley’s CP Unit appointments, wonderful Ursula Shelley,Mike Liberman pour HP and RMO, great surgeons John Atwell, Valentine Swain. Sorry for typos ..losing connections do text.